This is a rectangular Badger State Cement porcelain sign. This particular Badger State Cement sign is predominantly red with white text. 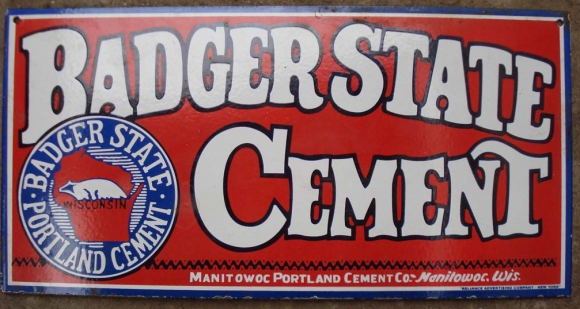 It reads, “Badger State Cement, Badger State, Portland Cement, Manitowoc Portland Cement Co., Manitowoc, Wis.” and features an outline of Wisconsin with a badger.